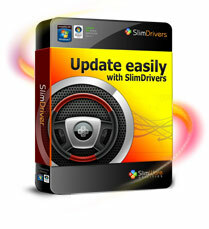 SlimDrivers is one way to download new drivers to replace your old ones. There are two versions of the software: the Pro version, which will allow you to download all the updated drivers at once or the Free version, which makes you download each driver manually. Downloading manually isn’t so bad so the Free version is all you really need. I really like this software a lot and the drivers they offer are more updated than Uniblue’s I found (I talked about it earlier here). Give it a shot if you haven’t updated your drivers in a while, you may just find your computer runs better!